Mr Solomona, a pastor, is the head of One Touch Ministries, an organisation that runs boot camps across Samoa to help people get into exercise, as well as education programmes to preach healthy eating in schools and workplaces. As dawn breaks, people arrive from all walks of life: the young, the old, entire families. Blue collar workers and village matai through to government chief executives, all looking to get fit and eat healthy. “They turn up and they’re very large, it really shocked me,” Mr Solomona said. Samoa is one of the fattest countries in the world. About 50 percent of the country’s adults are considered obese, according to the World Health Organisation, and the health minister last year said 80 percent of deaths there could be attributed to non-communicable diseases (NCDs). But Samoa is not alone in its crisis. In ten countries, more than half the population is considered obese (in Nauru, more than 90 percent), and about 40 percent of the region’s entire population has been diagnosed with an NCD, with obesity-related diabetes, cardiovascular disease and hypertension the most common. As these countries grapple with their crises of obesity and NCDs, small governments have been looking to implement a range of regulatory measures - particularly taxes on sugar-sweetened beverages, which some people drink by the litre. But as they do this, they are coming up against opposition from multinational food and beverage corporations, which have been fighting tooth and nail against such measures worldwide, working their economic heft and government connections. The fight is becoming particularly intense in developing countries, where companies like Nestlé and Coca-Cola are growing their markets as sales fall in wealthier nations. The latest example is Coca-Cola’s hiring of commercial and public affairs managers whose jobs will be to assiduously work government contacts, lobbying against sugar taxes and other measures “that may negatively impact business” in the Pacific, according to recent advertisements. In much of the Pacific, Coca-Cola is already a pervasive presence. Shop fronts and town centres are plastered with that signature red, the company sponsors events and facilities, including sports competitions and health programmes, and its range of drinks is available in even the most isolated villages. “It’s everywhere,” Mr Solomona said. But it’s not just Coca-Cola either. Foods like two-minute noodles, laden with saturated fat, are a staple in many areas along with lamb flaps and turkey tails, offcuts that often go unwanted in wealthier nations. Each year, New Zealand exports tens of thousands of kilograms of lamb flaps, the high-fat trimmings from a sheep’s belly, to the region. The flaps are cheap, and in some stores, the only cut available. But for every 100 grams of meat, 40 percent of that is fat. 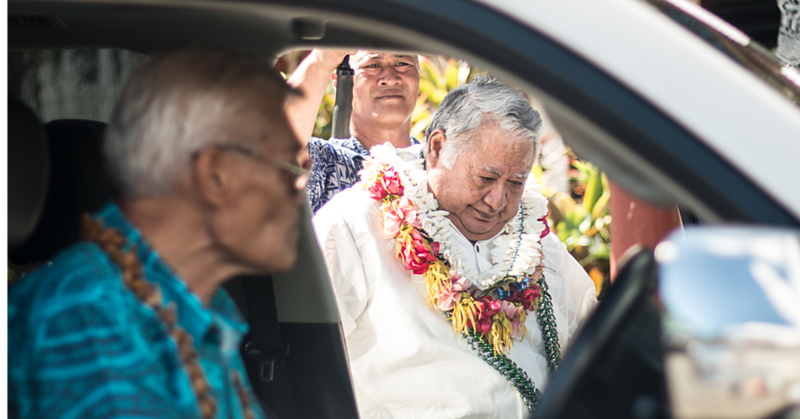 Mr Solomona said while many of these diets came down to poor choices (“Coke tastes better,” he said) and a lack of education (“They’ve never heard this message before”), much of it has to do with money. “People are trying to work out in their mindset, ‘why should I pay 4 tala for a bottle of water when I can get a can of Coke for 80 sene,’” he said. The advertisements appeared online at the start of June. The global beverage supergiant Coca-Cola was looking for an Oceania commercial leader and an Oceania public affairs and communications manager. According to the advertisements, which have since been closed (In a statement, Coca-Cola said “we are working through our standard recruitment process”), the commercial role will involve “strategic leadership around identifying and capturing revenue growth opportunities” in the Pacific. 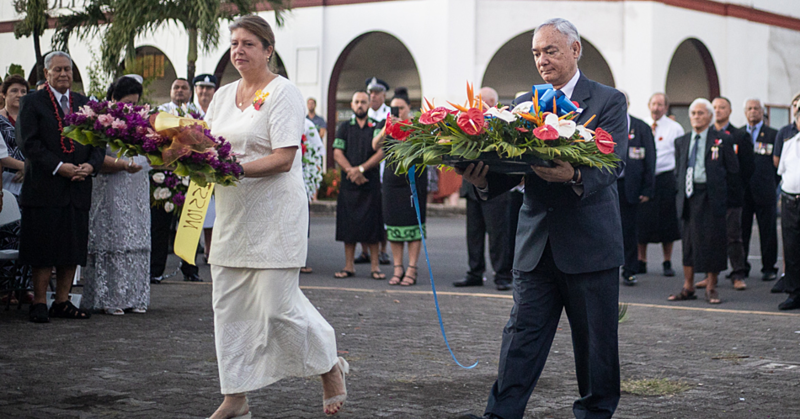 The public affairs role would be responsible for “government and health stakeholder relations” across the company’s Pacific Island markets, “with Fiji and Samoa as priorities”. “The goal is to ensure that effective government relations and stakeholder engagement in the Pacific Islands markets helps mitigate sugar tax threats (new and increases to existing taxes) and marketing and sales regulations that may negatively impact against business,” it read. The director of the regional development agency the Pacific Community, Colin Tukuitonga, said such advertisements were disappointing, but not surprising. “People might say this is normal part and parcel of a company doing their business,” he said. “We do think we have a duty and a responsibility to counter this,” Dr Tukuitonga said. In a statement, a spokesperson for Coca-Cola said it was taking the Pacific’s NCD crisis seriously, and was implementing a range of measures to counter obesity and the amount of sugar people consume. “We are committed to the health and wellbeing of the Pasifika communities we operate in,” the statement read. Dr Tukuitonga’s organisation has for years been helping governments around the region respond to the NCD crisis. In 2014, with the World Bank and the World Health Organisation, it released a document called the Pacific NCD Roadmap, which was endorsed by the region’s health ministers. It detailed ways the governments would respond to the NCD crisis, and taxes on sugar-sweetened beverages such as Coca-Cola were identified as an easy-hit option, particularly if their prices rise significantly. Since French Polynesia became the first Pacific territory to introduce a tax on sugar-sweetened beverages in 2009, nearly half the region has implemented some kind of tax, with most - including Samoa - implementing them in the last couple of years. The drinks industry asserts, however, that such taxes unfairly burden the poor, cause higher unemployment by squeezing sales, and fail to achieve the overarching goal of reducing obesity. “We believe sugar taxes do little to reduce obesity and there are more effective ways to address the problem,” a Coca-Cola spokesperson said, pointing to Denmark’s decision to drop plans for a sugar tax in 2012. But Otago University health researcher Andrea Teng said while sugar taxes were a new phenomenon, making research limited, early signs suggested that they were working. “In the last two to three years there’s been nearly a dozen reports and papers that have been published looking at the impact of soft drink taxes around the world in places like Mexico and California, Philadelphia, Catalonia in Spain,” Dr Teng said. Some studies from Mexico and Europe have shown that sugar taxes lead to a drop in sales of sugar-sweetened drinks. However, such measures are so new that there is little research into their overall impact on health. But public health organisations like the Pacific Community and the World Health Organisation cite taxes as one of the most effective policy tools for cutting consumption of sugar. The Pacific’s experience reflects a ferocious policy battle that’s playing out around the world across health, science, politics and money. And as the idea of taxing sugar-sweetened beverages gains momentum, small governments in countries viewed as emerging markets are coming up against a juggernaut of industry opposition. Those battles are particularly intense in markets in developing countries, where the global food and beverage industry is focussing to make up for falling consumption in western countries. Dr Tukuitonga said that was particularly true in this region. “They know that the pressure is on mainly in Australia and New Zealand and developed nations,” he said. “They recognise the weaknesses in the regulatory environment and the awareness of people in the region and this is a reason why they’re targeting the Pacific. As advocates for sugar taxes increasingly do battle with lobby groups, Dr Tukuitonga said the region would be prepared, as the Pacific Community had seen a similar fight play out before. “The sugar industry is behaving pretty much the way we saw the tobacco industry behave in the early days,” he said. “They trash the science, they discredit the evidence, they produce alternative so-called evidence and then they distract. But the battle could be meaningless if Lenny Solomona has his way. 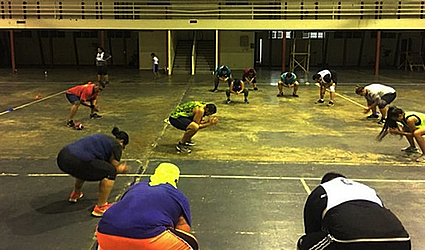 Since he started in 2014, Mr Solomona has had hundreds of people pass through his boot camps. He’s visited hundreds of workplaces, and visited thousands of school children to take them through fitness programmes, and tell them about healthy eating. “They turn up and they’re very large,” he said. 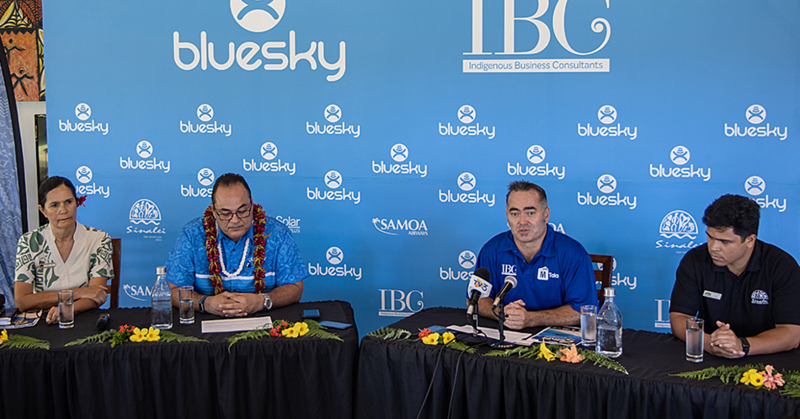 Mr Solomona said while the industry’s lobbying efforts were disappointing, he said he had hope that Samoa would reach a point where such efforts would have little effect. Already, he said, harsh lessons were being learned. “The deaths [from NCDs] have just compounded one after the other,” he said. And that, he said, has driven people to change. Four years ago, there were only two gyms in Samoa. Now they’re opening up right across the country, and people are increasingly coming to him for dietary advice. The school programmes are working too, he said, with children often going home and prompting their entire families to change lifestyles. “You know, we could get angry. I guess we could just stop and almost want to give up and things like that,” he said. “But I think regardless of whether these people come in and they start arguing with these things, I think ultimately at the end of the day it comes back to leadership. “The parents have come into the boot camp, they know the truth now behind these products and that. As long as they understand the truth, regardless of the challenges from outside.